Megabass Cutter 128 is the perfect shallow runner when the current is strong; 128 has the ability to slice through water across the current with a stable, smooth rolling action. Megabass Cutter 128 is a versatile shallow runner. The diving depth is set to around 1m, which is great for fishing slightly sloped and hilly regions under the surf. 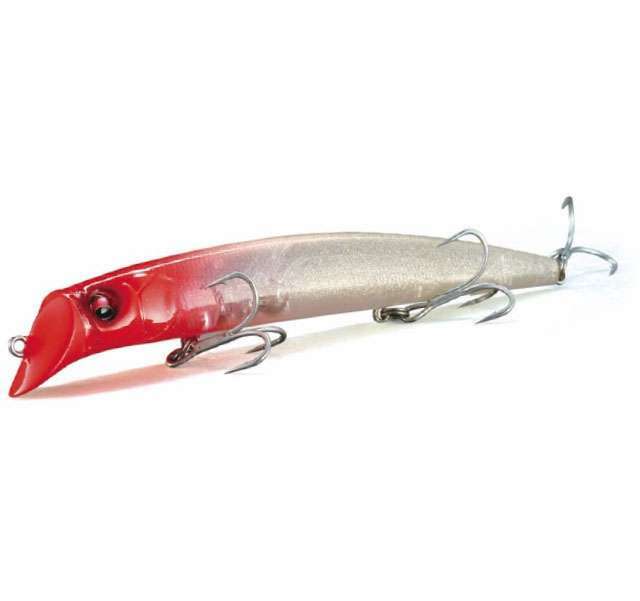 Cutter 128 is the perfect choice when the current is strong; this lure has the ability to slice through water across the current with a stable, smooth rolling action. Cutter 128 can perform this type of action due to its unique head shape that is able to channel water while slicing through it. This lure is highly suited for a varying range of retrieve speeds and it is equipped with the ''Tungsten Triple Weight Oscillate System'' which contains three high-density moving tungsten weights. The Cutter 128 ''V'' Head design creates V-shaped ripples on the surface, and underwater it cuts through the water to create actions, performing especially well in strong current. 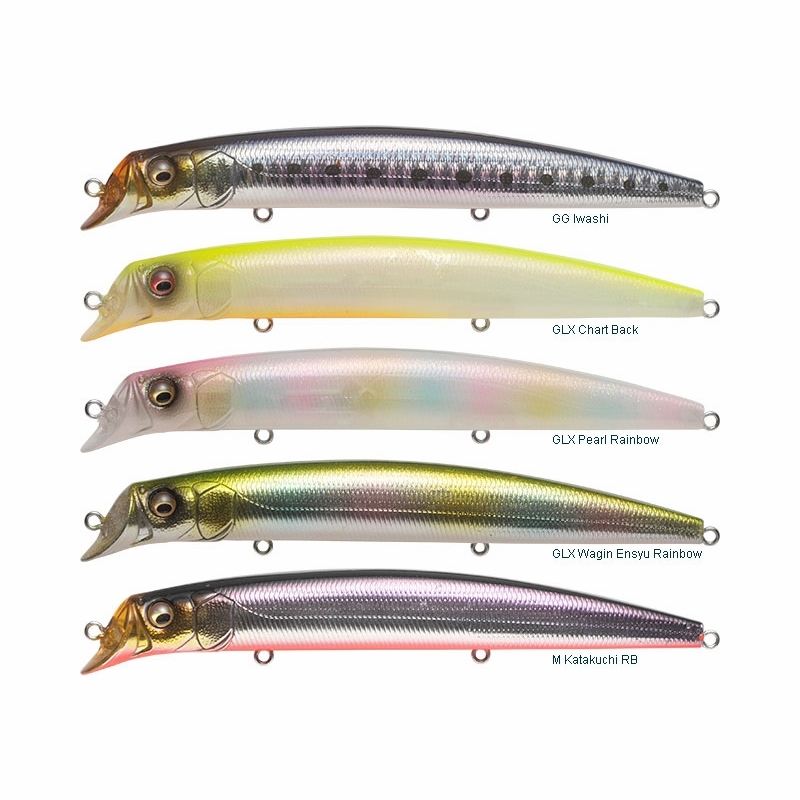 The V Head reduces the pull resistance on the lure and displays the kind of wavering motion seen in near-death bait fish. Love how this plug swims, but you�€™d think at over 20 bucks the hardware would be more solid. The hooks are flimsy and corrodes. This darter type plug zig zags through ripping water. Fish cant seem to lay off of it. Throw in inlets and any other fast moving water. 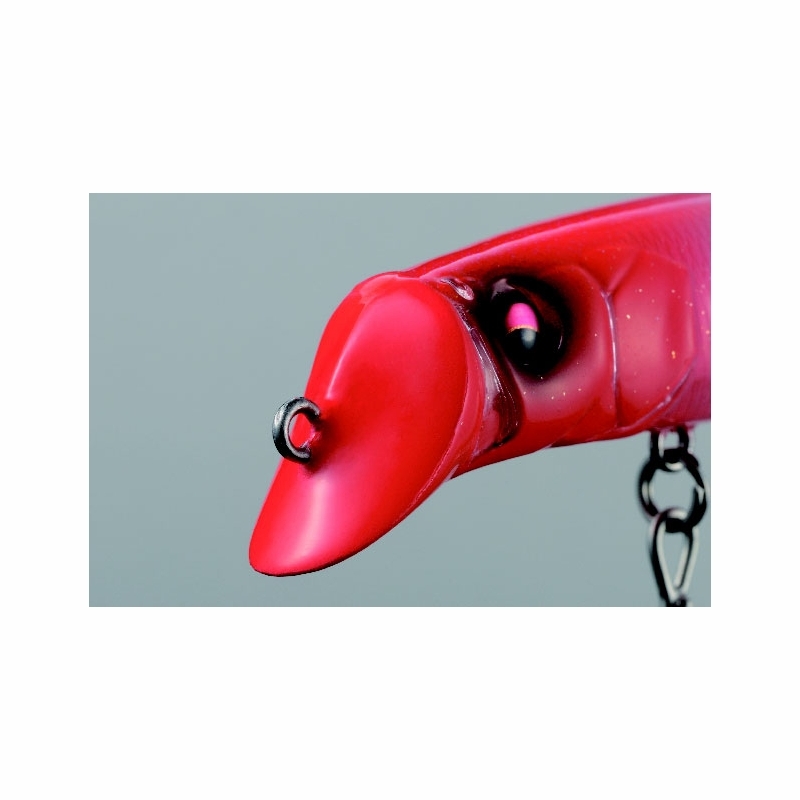 This is not only an incredibly made plug, it also catches fish like crazy! good hardware and casts well! Megabass lure swims pretty much like darter. it is eeally good made.. quality finish and qiality hardware.